Dr. James Landry is a Professor and Chair of the Department of Chemistry and Biochemistry, as well as Director of the Environmental Science Program at Loyola Marymount University (LMU). He also serves as the Senior Director of Operations for LMU’s Center for Urban Resilience (CURes). He has held a variety of administrative positions at LMU since joining the faculty in 1984, including Chair of the Chemistry and Biochemistry Department (1992-1996), Director and founding Chair of the Natural Science Department (1995-2007), Director of the University Honors Program (2000-2003), Associate Dean for Undergraduate Studies in the College of Science and Engineering (2007-2012), and most recently interim Vice Provost for Enrollment Management (2012-2013). His research has included collaboration with the Getty Conservation Institute developing methods of analysis of art objects using infrared microspectroscopy and determining museum environments employing gas chromatography-mass spectrometry. His current research interests include the determination of heavy metal levels in the Ballona Wetlands as this degraded urban wetlands begins the process of restoration. 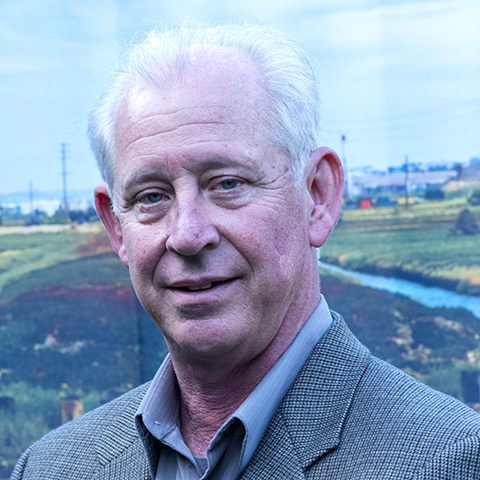 Landry has served on the Board of Directors for the Friends of Ballona Wetlands since 2010. He was involved in the development of the Ballona Discovery Park, an open-air, educational and cultural Ballona Watershed learning center for students and the general public which opened in 2012. Sign up to receive action alerts, updates, and restoration news. Friends of Ballona Wetlands is a 501(c)3 non-profit corporation tax ID# 95-3264072. © 2019 Friends of Ballona Wetlands. All rights reserved.